Written by Sandra Jurišić and Ivana Bole. There are thousands of events in Slovenia every year. The weather being the kindest in the summer means that it is by far the busiest period. In case you are looking to immerse yourself in the local scene, here are some ideas: I. FESTIVALS Multiple festivals held all over Slovenia every summer ensure that there is little chance you won’t find something to your liking. 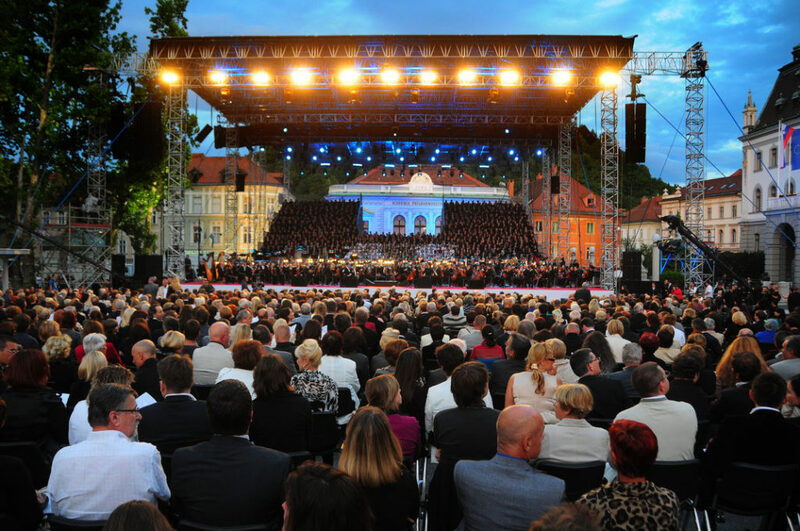 Classical music festivals: - LJUBLJANA FESTIVAL (July - August) - one of the main summer festivals in Slovenia and one of the oldest in Ljubljana with nearly 80 events every year. With a little bit of something for audiences young and old, this festival is a must (and it is difficult to miss). MARIBOR FESTIVAL (September) - focusing mainly on the baroque style of music, but successfully incorporating other musical genres in its later years, this festival brings the grandeur of high quality classical music to Slovenia’s second city. ANA’S FESTIVAL in Rogaška Slatina (19 July - 3rd September) - classical music concerts compose the majority of the events, but there is a wide variety of other musical genres, like soul, blues, jazz etc. METALDAYS in Tolmin (24 July - 30 July) - in the romantic setting of Soča valley, this festival has been held annually since 2004. Combining the unadulterated joy of the music festival with the beauty of the Soča river makes the MetalDays festival one of the most attended in Slovenia by tourists and locals alike. PUNK ROCK HOLIDAY in Tolmin (9 August - 12 August) - also located in Soča valley, this festival is much younger than its metal counterpart, but has been gaining in popularity in the last 4 years. 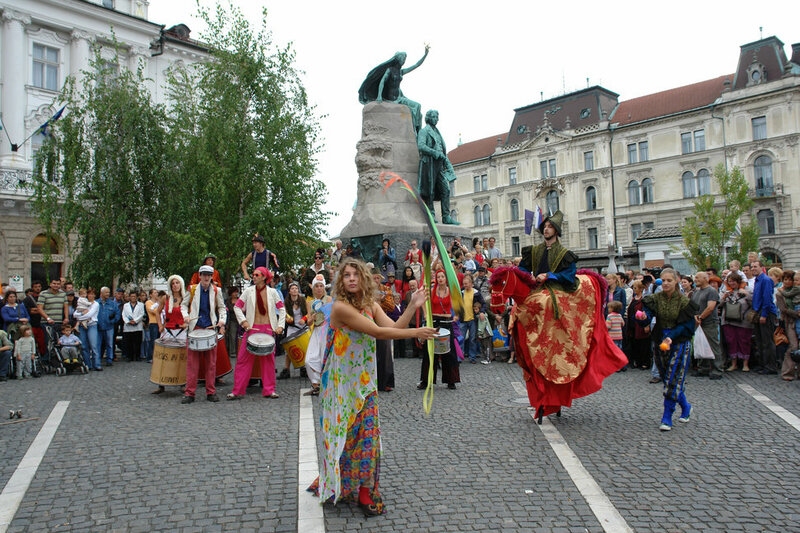 ANA DESETNICA STREET THEATRE FESTIVAL (end of June - early July) - organised by Ana Monro Theatre, Ana Desetnica is a lively festival that has performances mainly in Ljubljana, but also in other Slovenian towns. The street stages become alive with a variety of local and international performers and performances of different scales, from whimsical acrobats offering fun for everyone to drama for the more discerning theatre-goers. For nearly twenty years the Ana Desetnica festival has brightened the streets of towns in Slovenia. FESTIVAL LENT in Maribor (end of June - early July) - set next to Drava river in the heart of the oldest part of Maribor, Lent is a bustling festival that has been taking place every summer for over twenty years. Proudly proclaiming itself to be about culture, the name Festival Lent serves as an umbrella term for a variety of smaller festivals occurring at the same time. The list of these festivals is seemingly endless, counting about 400 different music, theatre, folklore, cuisine, workshops and sporting events. In short, there’s bound to be something for absolutely everyone. PIVO & CVETJE in Laško (14 July - 17 July) - a celebration in Laško, the home of the local beer of the same name, has been attracting some of the largest crowds for over 50 years. The concerts and events are sponsored by the local brewery, so this one is almost a must-see for any beer lover. Presumably for flower lovers too, as the festival’s name translates to Beer & Flowers, but let’s be honest, the beer and the concerts are the biggest draws. PIVO & BURGER FEST in Ljubljana (April, July, October) - a rather new event that has been around for less than 2 years has skyrocketed in popularity straight away. For three weekends a year, the Ljubljana market becomes a place where you can try the best burgers and beers from all around Slovenia. This festival for lovers of good food and good beer draws in a crowd even on a rainy day, and should definitely not be missed. II. OPEN AIR CINEMA (July - August) In case you like to enjoy a summer evening accompanied by a good film, there are plenty of opportunities all around Slovenia. Luckily, too, as watching a movie underneath a sparkling night sky can be quite unique and is bound to awaken the romantic in even the toughest of cynics. The most famous open air cinema in Slovenia is the Film Under the Stars taking place at Ljubljana castle, then there are those of Piran, Celje, Radovljica, and many more. You can see a list with dates here, but unfortunately, the website is only available in Slovenian. III. MARKETS Markets are, of course, not bound to only summer months, but are available throughout the year. Even a walk around any fresh food market can be an endless amount of fun and usually, the most popular days to do so are Saturdays. The Ljubljana market is one of the most spectacular ones, offering a variety of fresh produce every day, not least for its covered areas under the arcades of the famous Ljubljana architect, Jože Plečnik. 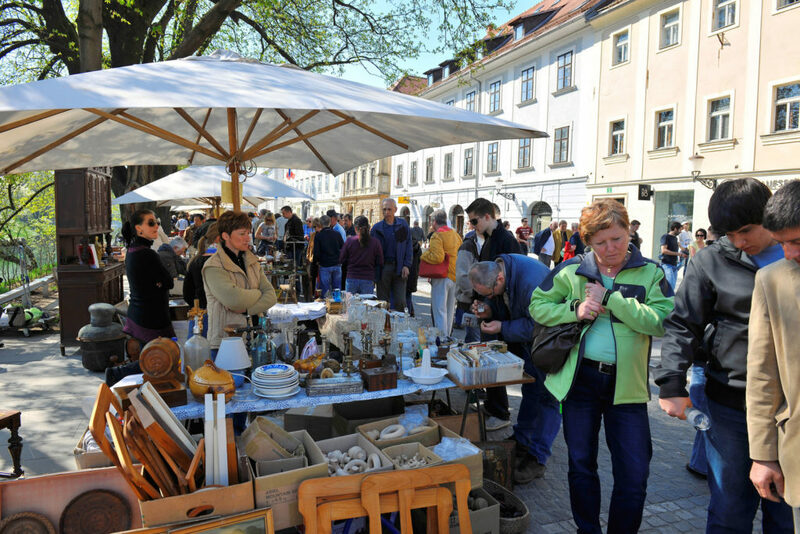 FLEA MARKETS - for those who like the nostalgic feel of an antique market, there is one every Sunday (if the weather permits) on the river banks of Ljubljanica river and in Maribor on the grounds of a former factory called TAM. Every fourth Saturday of the month you can find one on the streets of our coastal jewel, Piran and every first Sunday in Radovljica. Take a stroll and see the myriad of trinkets and knickknacks and, who knows? You might find something you never even knew you needed. ART MARKET - The magic of an old-timey flea market just not enough? You’d like to feel like you’re walking in an open air museum? Luckily, if you opt to walk the river banks of Ljubljanica on a sunny Saturday rather than a Sunday, you will run into the art market. This on-going project started in 2000with a goal is to both promote local and international artists. It has since made a walk by Ljubljanica more pleasant and is a great place to find some unique artwork. OPEN KITCHEN - Fridays are reserved for one of the liveliest culinary events at the Ljubljana market, where different restaurants prepare a wide palette of dishes from international to traditionally Slovenian. Locals, as well as visitors, absolutely adore it and, for the fourth year in a row, this event has been one of the more popular meeting spots in order to enjoy some casual drinks and eat some delicious food. After its initial start in Ljubljana, the Open kitchen now pops up in a lot of other Slovenian towns, and is a smash hit in each of them. IV. MEDIEVAL DAYS If you’ve always been aching for some time travelling fun, why not visit one of the various medieval days organised at different castles around Slovenia. Most of them are scheduled in June, like the ones in Bled, Ljubljana, Kamnik and Škofja Loka, and all of them can be insanely fun. Ogle at the period costumes of ladies, knights, men of God and jesters, enjoy the archery competitions and jousting performances, learn about blacksmithing and other crafts and see how medieval towns come to new life by borrowing from their history. V. ROMAN GAMES Slovenia is rich in Roman heritage and besides seeing all the ruins and artefacts in any regular visit, you get an opportunity to walk among the Romans once a year by visiting Ptuj in August. Every year a Roman camp springs to life on the fields surrounding our oldest town. It has become one of the largest events of this kind in this part of Europe, attracting more visitors as well as participants every year. The camp offers you an insight into the Roman lifestyle, presenting different layers of society, various crafts, gladiators and even a fight with barbarians. 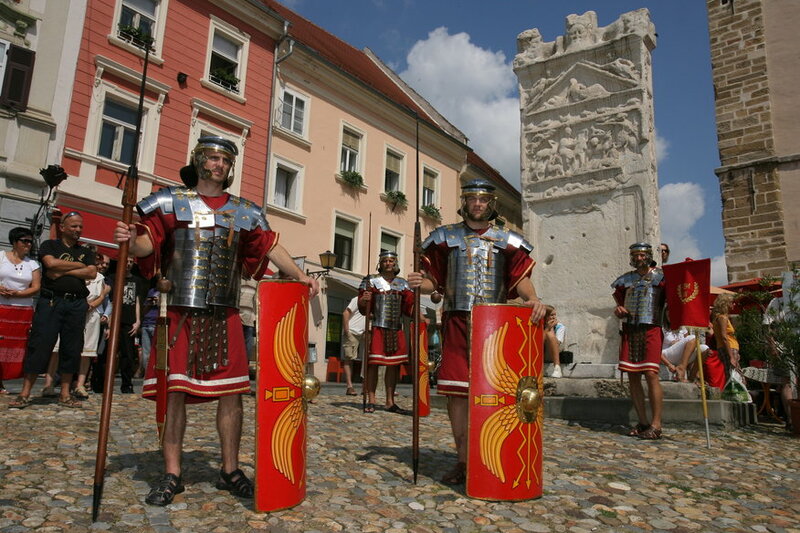 Don’t be surprised if you encounter a Roman soldier while walking in a Slovenian town, as that is a part of their marketing for their Roman games in August. So, make sure you check what is going on before travelling to Slovenia and there is a good chance you will get to join some interesting events. And what better way to experience a country than to immerse yourself in its cultural events? This way you can place your palm directly on the beating pulse of a lively and invigorating culture and experience something you otherwise wouldn’t. Tagged beer, castle, culture, event, traditional. Bookmark the permalink. Eslovenia , es Pais que visite por trabajo…..pero voy a volver con mi Esposa para mostrarle lo Hermoso que es…y visitarlo en nuestro Cumpleaños….ultima semana de Abril y la 1ra semana de Mayo, que ademas es cuando me gusto mucho mas Eslovenia.. ! !